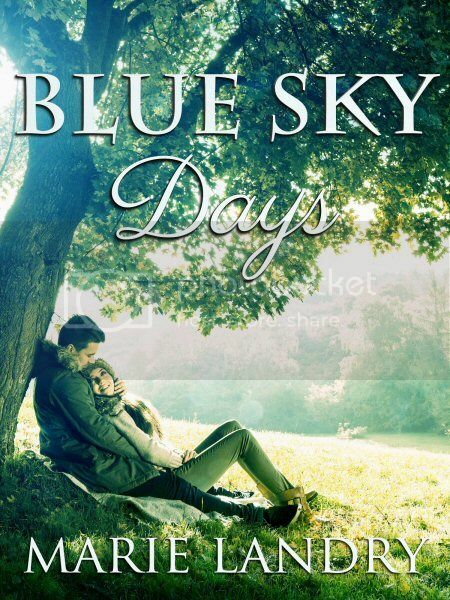 Welcome to the Blue Sky Days Relaunch Blitz! June 27th is the 20th anniversary of my dad’s death from leukemia. For a long time I’ve wanted to honour him in some way, and I thought having the relaunch of Blue Sky Days, a book that was partly inspired by him, would be the perfect tribute. My dad was a wonderful man—smart, funny, kind, and loyal. He was an amazing father, husband, brother, and friend. Even before he died, I knew I wanted to be a writer, and he would listen to my crazy made-up stories with the patience of a saint. From the 27th-30th of June, half the proceeds from all sales of Blue Sky Days will be donated to the Canadian Cancer Society. If you already own a copy, maybe you’d consider buying the book for a friend or family member? Or buying another copy from a different retailer (like Smashwords, which offers the book in every format)? I greatly appreciate the support of the online reading/writing community for helping me honour my dad. Thanks to eight incredible sponsors, there's a huge blitz-wide giveaway! There will be three (3) $20 PayPal cash prizes. Three chances to win - not too shabby, huh? This giveaway is open internationally to people aged 18+ who can accept PayPal cash. Tana @ A Diva a Day! Follow A Diva a Day! Marie has always been a daydreamer; since early childhood she's had a passion for words and a desire to create imaginary worlds, so it only seemed natural for her to become a writer. She resides in Ontario, Canada, and most days you can find her writing, reading, blogging about writing and reading, listening to U2, watching copious amounts of TV on DVD, or having grand adventures with her nephews and niece. She's a hopeless romantic, an unapologetic eavesdropper (occupational hazard), an equally unapologetic squeeing fangirl, and a lover of swoonworthy book and TV characters. For more on Marie and her books please visit http://sweetmarie-83.blogspot.ca. She also loves to chat with fellow book lovers, so feel free to tweet her @SweetMarie83 any time. This sounds good. Thanks for sharing. It was really wonderful! :-) thanks Ellen. Yes, Sharon, this looks really great, and what a worthy cause. Thanks for sharing! Thanks Jessica! It is such a wonderful cause. I read her holiday novella and enjoyed it. This sounds wonderful and how nice to honor her Dad. It's really lovely and such a great cause, I really need to read the novella.